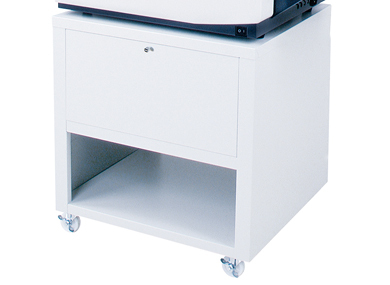 The Standard Horizon PF-P3100 desktop folder offers quick set-up, easy operation, and enhanced productivity. High quality engineering and construction and an innovative design make the PF-P3100 an exceptional folder that handles a range of stocks and applications while providing years of reliability. Simple setup: The PF-P3100’s innovative LED assisted manual set-up makes selecting between six preset standard folds and four common paper sizes fast and easy. Simply select a preset paper size and a fold format on the control panel and the LED fold position indicators automatically illuminate the corresponding fold alignment positions. Sound control: The PF-P3100’s unique internal fold-plate design and variable speed settings provide enhanced sound reduction control when desired.